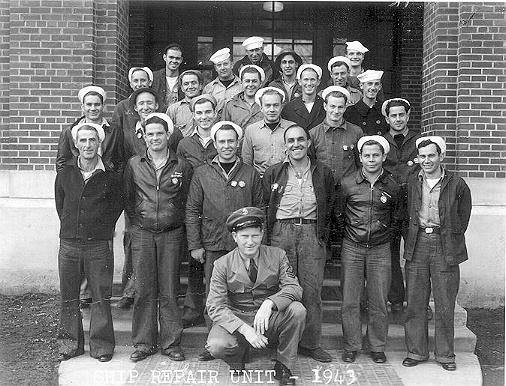 Survivors assigned to the Philadelphia Navy yard waiting for new orders. The survivors are mostly from the USS Helena – CL-50. Most of the pictured group went to the USS Sierra, a repair ship bound to the Pacific.